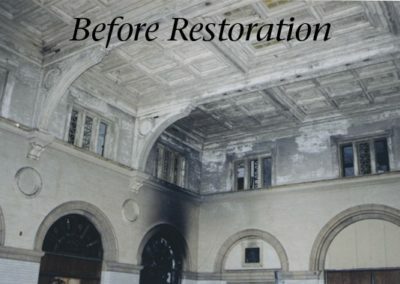 To overcome three decades of abandonment and restore the interior of the passenger terminal in the landmark Old Milwaukee Road Depot, in Minneapolis Minnesota, which was designed by Charles Frost and constructed in 1898. 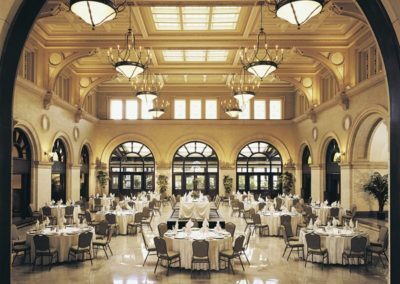 The Romanesque space was to become a banquet room in the adaptive re-use of the building as the Courtyard by Marriott at the Depot. 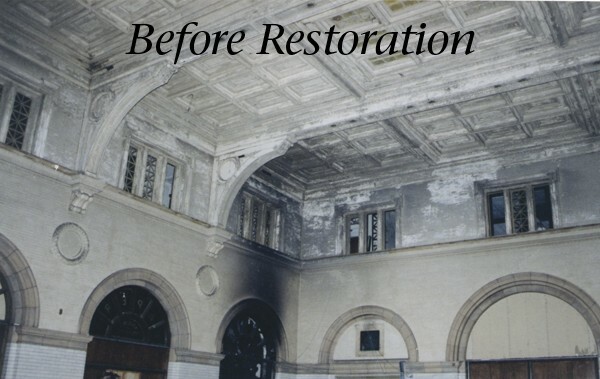 Plaster consolidation and restoration, as well as decorative painting, were conducted by Conrad Schmitt Studios to restore the ornate appearance original to the turn-of-the-century interior. 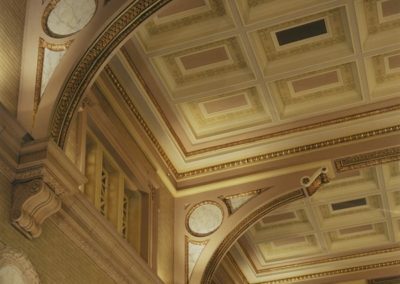 Stenciling, gilding and glazing, in soft, warm colors, based on a composite of past decoration, have been returned to the walls and ceilings. 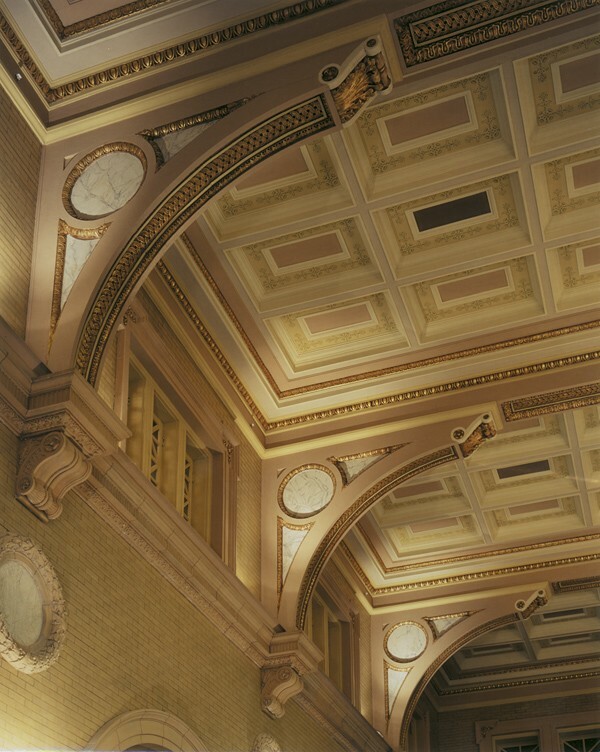 Painted accents that had been lost draw attention to the ornate architectural details. 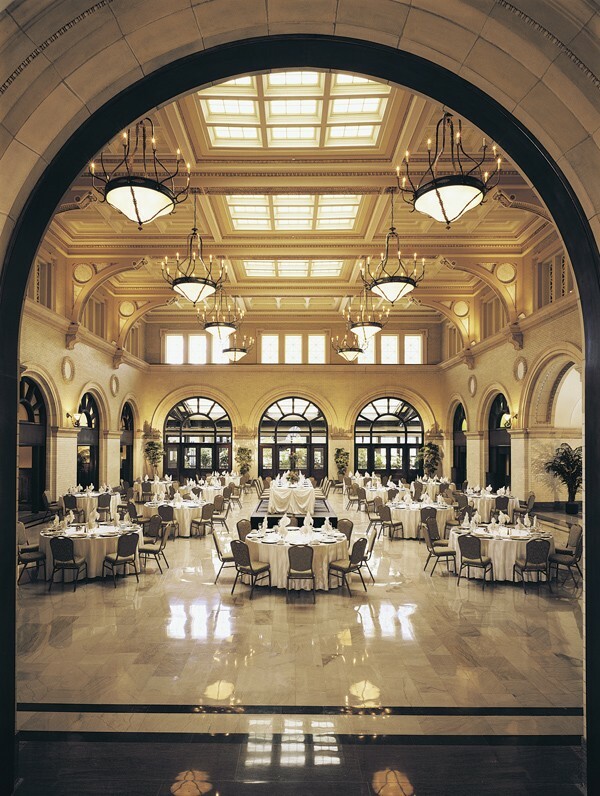 A highlight of the extensive building and renovation project by Shea Architects of Minneapolis is that the former train shed has become the site of a public ice rink.